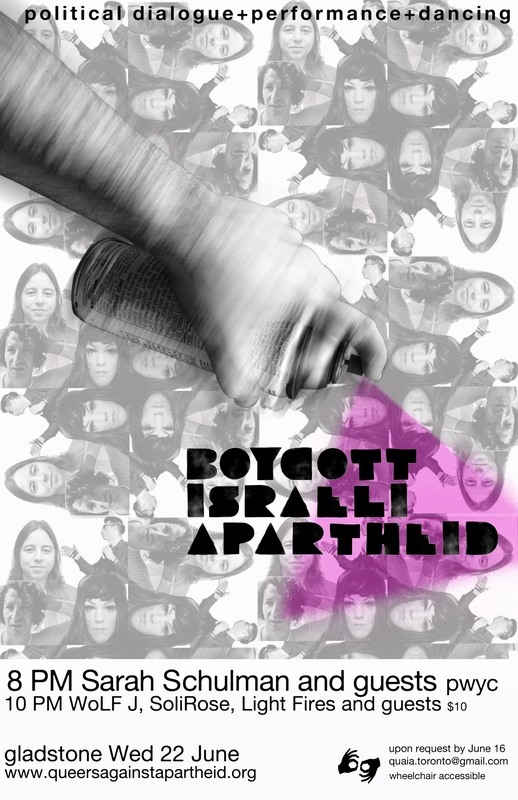 Queers Against Israeli Apartheid (Toronto) joins with those expressing disappointment in the International Gay and Lesbian Youth Organization. To accept Israeli government money to hold its General Assembly in Israel despite the international call for boycott until Israel complies with international law is a betrayal of the IGLYO mandate. This is especially disturbing given that the decision was made after appeals by Palestinian queer organizations to respect the boycott. They have made it clear that the Israeli occupation of Palestinian territory is a major barrier to their work. The IGLYO has not only chosen a site inaccessible to them, but it has sent a message to queers throughout the Arab world that they are not part of our movement. In doing so, IGLYO increases their vulnerability, undermines their work and isolates them from the wider queer solidarity movement. It is disingenuous to claim that the choice of Tel Aviv is a sign of neutrality in this conflict. IGLYO is in fact making itself complicit in Israel’s pinkwashing strategy: a PR campaign that uses Israel’s legal tolerance of queers to justify the violent apartheid system it forces Palestinians to live under. There are dozens of suitable locations around the world where IGLYO can hold its General Assembly. Until Israel respects international law and dismantles its apartheid system, Tel Aviv is not one of them. Queers Against Israeli Apartheid (QuAIA) wishes to express its concern about attacks on queer institutions by the Israel lobby—most recently the LGBT Community Services Center in New York. For the last two years, Toronto’s Israel lobby has been attempting to defund Pride Toronto and drive the organization into bankruptcy because of the presence of “anti-Israel messaging” in Toronto’s annual Pride parade. The Israel lobby has joined with homophobic city politicians to deny Pride Toronto public funding, and has pressured corporate sponsors to withdraw their support. In forcing the Center to abandon its mandate to provide space for diverse LGBT community organizing, the Israel lobby has demonstrated its contempt for democracy and its unwillingness to engage in dialogue. The same lobbyists who claim to defend Israel because it is democratic and pro-gay are attempting to destroy queer institutions and stifle free speech. This is an irony that should not be lost on anyone in our communities. QuAIA wishes to express its solidarity with groups banned from the LGBT Center in NY. We urge the Center to reverse its decision and to once again support free speech and a diversity of opinion in the community. 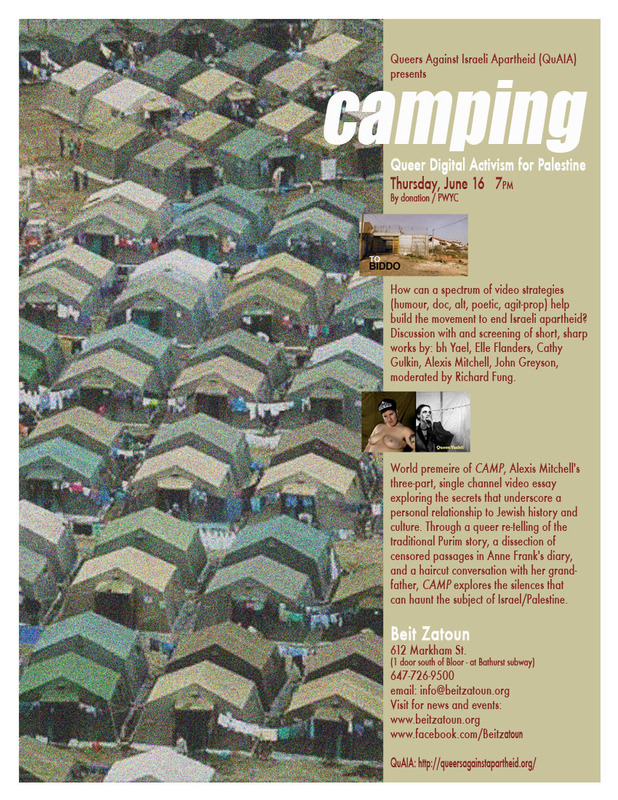 You are currently browsing the Queers Against Israeli Apartheid blog archives for June, 2011.